Kick off your visit on the 9th (Sun): hike along Mariposa Grove of Giant Sequoias, then make a trip to Yosemite Conservation Heritage Center, and then explore the striking landscape at Glacier Point. 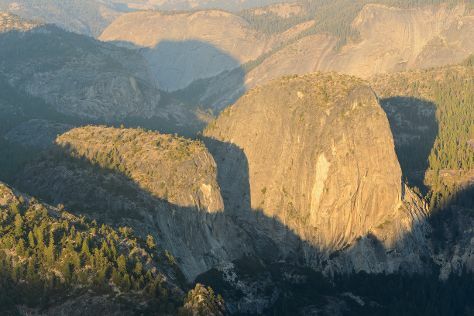 On your second day here, take a memorable drive along Tioga Pass, then explore the striking landscape at El Capitan, and then don't miss a visit to Olmsted Point. For other places to visit, traveler tips, and more tourist information, read our Yosemite National Park trip planner. In December, plan for daily highs up to 46°F, and evening lows to 14°F. Finish up your sightseeing early on the 10th (Mon) so you can travel back home.